Opis: Some features of HH-34 are understood -- some are not. 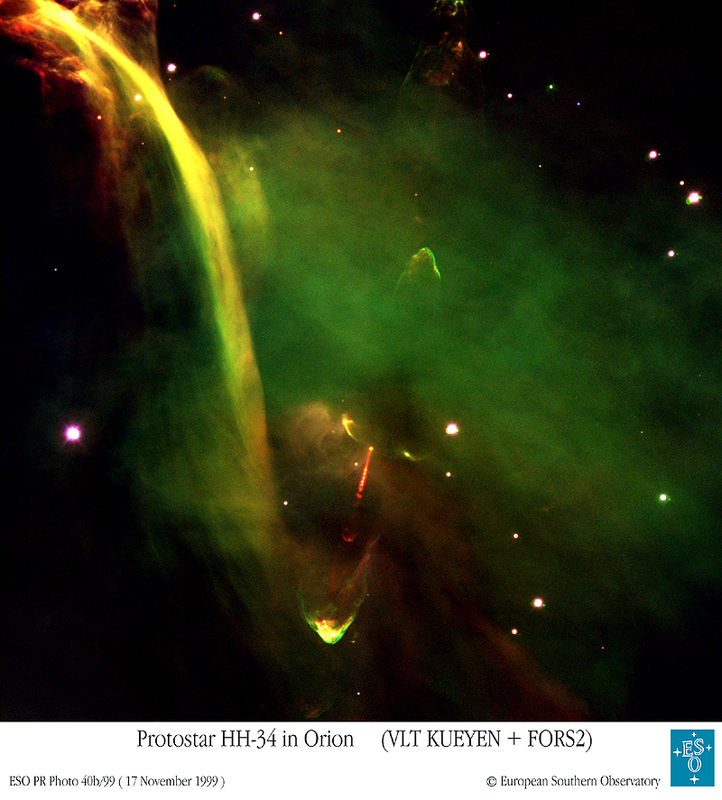 At the core of Herbig-Haro 34 lies a seemingly typical young star. This star, though, somehow ejects energetic "bullets" of high-energy particles, appearing as red streaks toward the lower right of the this image. Astronomers speculate that a burst of these particles might rebound when gas from a disk surrounding the star momentarily collapses onto the star. Visible near the end of each light-year long jet is a glowing cap. HH-34 lies about 1500 light-years away in the Orion Nebula star-forming region. 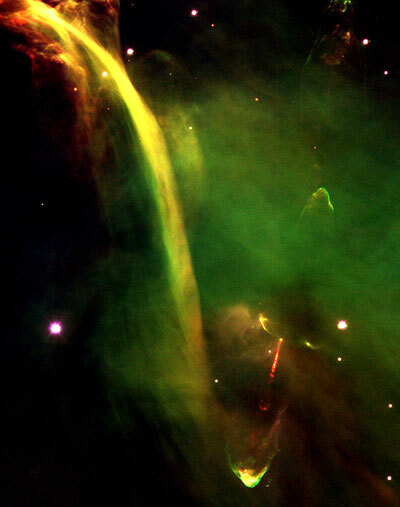 The cause of the large arc of gas on the upper left known as the waterfall remains unexplained.